Neville Gafà has still not been given a new government contract, more than a month after deputy Prime Minister Chris Fearne terminated his contract with the Foundation for Medical Services. Despite not having a contract, Neville Gafà has been reporting to the Office of the Prime Minister. Prime Minister Joseph Muscat last month denied the contract had been terminated, insisting the official was being “transferred”. Principle Permanent Secretary Mario Cutajar said he had “no visibility of any engagement for Mr Gafà” when asked about his designation and in which entity he was employed. According to sources, Mr Gafà is expected to be engaged with a government entity any day now. Despite not having a contract, Mr Gafà has been reporting for work at the Office of the Prime Minister. 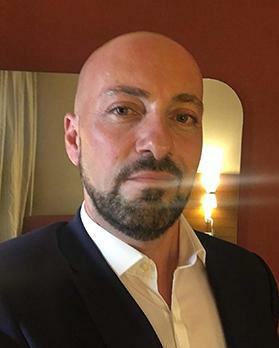 His previous job as senior manager with the Foundation for Medical Services on a position of trust basis was terminated shortly after Times of Malta reported he had met with a Libyan militia leader during a trip to Tripoli in December. Mr Gafà insisted he had “bumped into [the militia leader] on the street”. He also said that, during the same visit, he met with Libyan government ministers in a personal capacity and not as a “special envoy of the Prime Minister”, as reported in official communications from the Tripoli government. The head of the Foundation for Medical Services, Carmen Ciantar, is on record as saying she had been directed by the chief of staff at the Health Ministry to terminate Mr Gafà’s employment as per Mr Fearne’s wishes. Dr Muscat, however, had stood by Mr Gafà. He had said Mr Gafà had not travelled to Libya in an official capacity, adding it was, however, prudent to meet as many different people as possible in a country like Libya. Mr Gafà, he added, was doing “very good work”. The sources that spoke to Times of Malta said “more than one” Cabinet minister had been approached over the past few weeks on the possibility of engaging Mr Gafà in an entity falling under their political responsibility. In 2016, when Mr Gafà served as an official at the Health Ministry, he had been accused by a whistleblower of having masterminded a medical visa racket. He had been investigated for allegedly charging Libyans €2,500 a month to secure medical visas, treatment and accommodation, along with an additional payment of €100. The police found no proof of any wrongdoing.